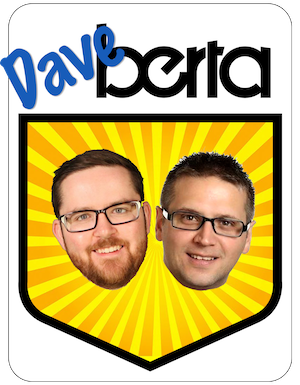 looking back at 2011: alberta mla’s who made a difference. Premier Ed Stelmach and his wife, Marie, as he announces his resignation as Premier. Ed Stelmach (Fort Saskatchewan-Vegreville) – Honest Ed – Triggering Alberta’s most significant political event of 2011, Premier Ed Stelmach surprised many political watchers when he announced his retirement after only four years in the job. Almost immediately, his party’s political fortunes improved, showing increased support in the polls and attracting six candidates to its leadership contest. Characterized by his opponents as a back-country rural politician, I believe history will be kinder when his achievements, such as the initiation of the 10 Year Plan to End Homelessness, the creation of the Capital Region Board, and significant public infrastructure investments across the province, are fully realized. 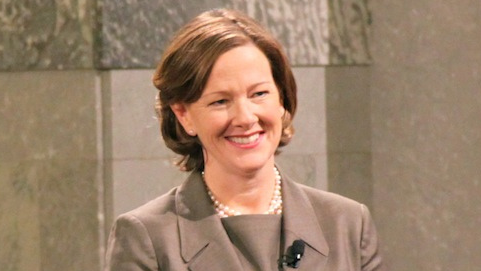 Alison Redford (Calgary-Elbow) – ‘New Hope‘ – Bringing renewed hope of generational renewal to the PC Party, first-term MLA and now Premier Alison Redford set a positive tone after being elected as leader in October 2011. She is smart, well-spoken, and bring a world of experience with her to the office. She still has to answer for the half-fulfilled promises like the creation of a “fixed election period” rather than the promised fixed-election date and empowering the quasi-judicial Health Quality Council, rather than the promised Judicial inquiry, to investigate the intimidation of health care professionals. Her reasonable responses to international corporations questioning Alberta’s environmental record is both refreshing and reasonable, now let us see some action. Doug Horner (Spruce Grove-Sturgeon-St. Albert) – Steady Second in Command – Placing third in the crowded PC leadership contest, cabinet minister Doug Horner’s support of Ms. Redford on the second ballot of the PC leadership contest helped make her Premier. Now as Deputy Premier and President of the Treasury Board, Minister Horner sits in the powerful position of being his party’s northern Alberta messenger in the next provincial election. This is similar to a role played by his father, Dr. Hugh Horner, when he served as Deputy Premier to Premier Peter Lougheed in the 1970s. He is smart and tough, and is in an ideal position to place himself as Premier Redford’s successor if the next election does not go smoothly for their party. 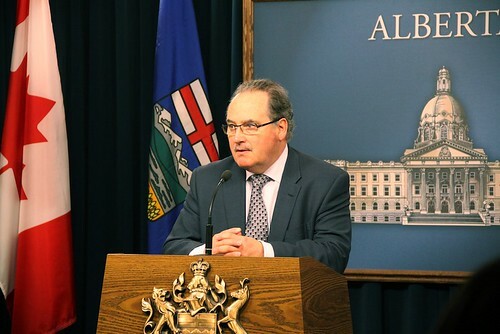 Brian Mason (Edmonton-Highlands-Norwood) – Veteran leader with a cause – With a talented knack for quippy one-liners, NDP leader Brian Mason continues to outshine the other opposition leaders in the media and on the Assembly floor. With the Liberals moving to the political-right in order to compete with the Tories and Wildrose Party, Mr. Mason has carved out a recogizable piece of the political spectrum for his tiny social democratic party. With only a few months before the next provincial election, the NDP’s chances of making electoral gains in 2012 looks good. Will Mr. Mason get a new title in 2012? Maybe Leader of the Official Opposition? 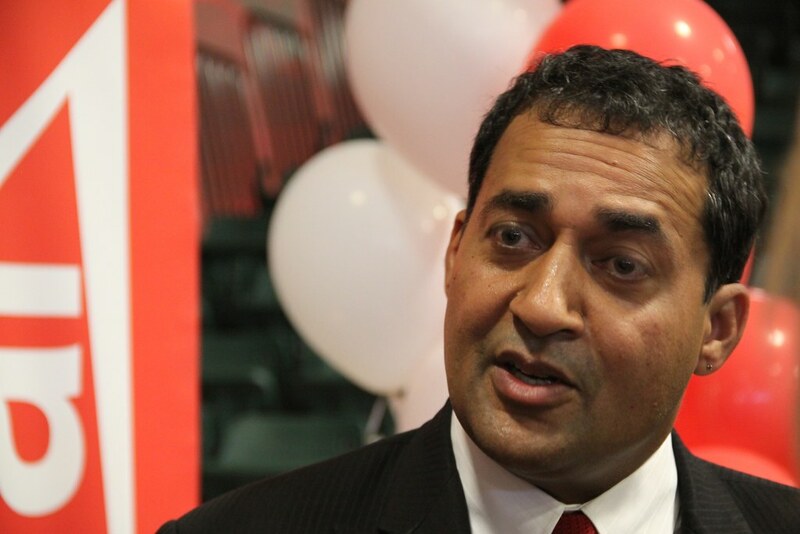 Raj Sherman (Edmonton-Meadowlark) – new Liberal – Former Tory backbencher Raj Sherman inherited a divided and drifting party when he was elected Liberal Party leader in September 2011. Dr. Sherman talks about creating a business-friendly and socially-liberal party, which sounds suspiciously like political real estate already happily occupied by the PC Party. It is still unclear what the future of the Liberal Party will look like under his leadership, especially after losing the floor-crossing Lethbridge MLA Bridget Pastoor and retiring veteran MLAs Kevin Taft, Harry Chase, and Hugh MacDonald. Hugh MacDonald (Edmonton-Gold Bar) – True Grit & Defender of the Faith – Edmonton-Gold Bar MLA Hugh MacDonald ran a passionate campaign of partisan preservation in this year’s Liberal Party leadership contest. His campaign did not prevail and following his defeat to Dr. Sherman he announced his plans to retire when the next election is called. Mr. MacDonald’s loss is also a loss for the Assembly, which will lose one of the hardest working and determined opposition MLAs. If the next election does not go well for his party, there may be more than a few Liberal stalwarts asking for Mr. MacDonald to come back. 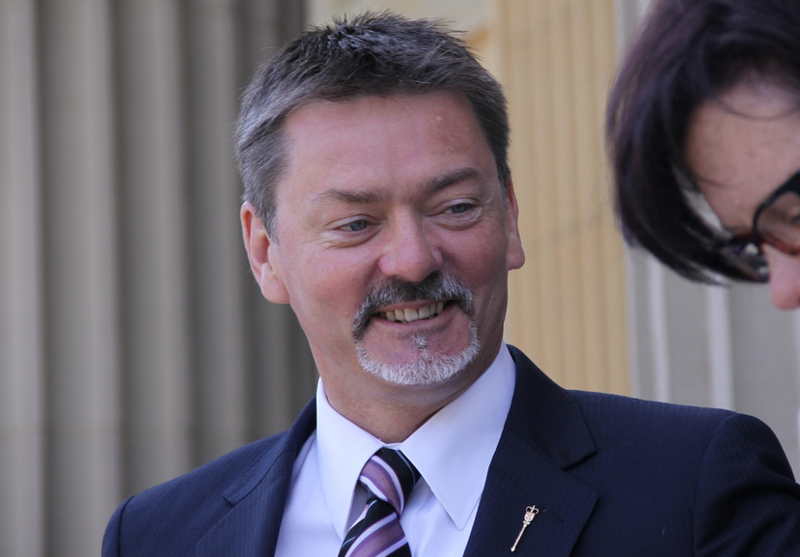 Rob Anderson (Airdrie-Chestermere) – The Wildrose’s Thorn – First elected as a PC MLA in 2008, Rob Anderson crossed the floor to the Wildrose Party in 2010. Since then, he has relished in his role as an opposition MLA, becoming his party’s unofficial leader on the Assembly floor. While he is sometimes over the top (and negative) in his accusations against the governing Tories, his presence overshadows his three Wildrose caucus colleagues to the point where he might as well be a one man opposition caucus. Jonathan Denis (Calgary-Egmont) – Rising Star – In his first-term as a PC MLA, Jonathan Denis has gone from backbencher to holding two cabinet portfolios. As Minister of Housing & Urban Affairs (which is now part of the Ministry of Human Services), Minister Denis supported the 10 Year Plan to End Homelessness through its second and third years. The plan’s focus on the Housing-First Principle is key to its success. 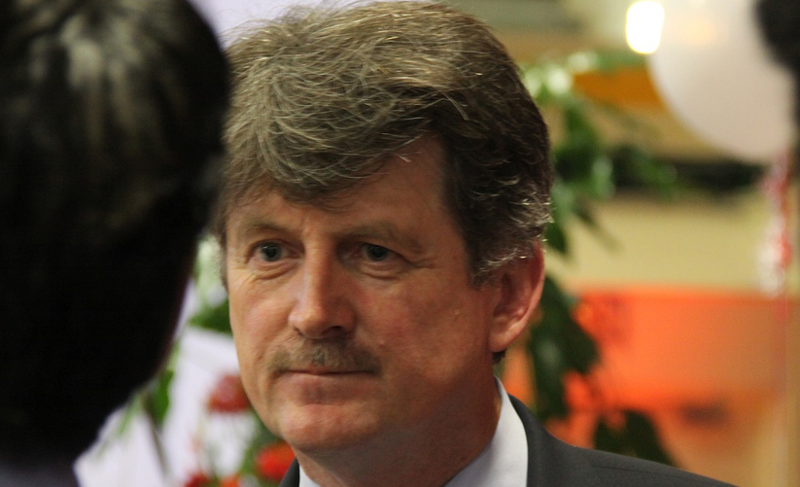 After supporting Ted Morton and Mr. Mar in the PC leadership contest, Minister Denis found himself promoted to Solicitor General in Premier Redford’s first cabinet. Dave Taylor (Calgary-Currie) – The Alberta’s Party’s first MLA – The former Liberal MLA became the first Alberta Party MLA in January 2011. He may have played a low key role in the two sittings of the Assembly since he joined that party, but his jumping to the new party helped put them on the political map. Mr. Taylor will not be seeking re-election when the next provincial vote is called. Doug Griffiths (Battle River-Wainwright) – Young Pup – After almost ten years as a PC backbencher, Doug Griffiths entered this year’s PC leadership contest as a dark horse and a long-shot. On the campaign trail he spoke articulately and passionately about issues that make conservative partisans uncomfortable. He placed last in the leadership contest and made what should have been a political career ending decision when he then endorsed another losing candidate. Somehow, he ended up as a cabinet minister after Premier Redford was elected. His energy and open-mindedness as a cabinet minister is refreshing and much needed. To keep the list short it is limited to current MLAs, which immediately excludes a few people who made a big impact on the province’s political scene this year. While I did not include them in this list, I feel there are a few non-MLAs who deserve an honourable mention for having made a significant impact on Alberta’s political scene in 2011. They are Gary Mar, Naheed Nenshi, Danielle Smith, Sue Huff, and Stephen Carter. This entry was posted in Alberta Politics and tagged Alison Redford, Brian Mason, Bridget Pastoor, Danielle Smith, Dave Taylor, Doug Griffiths, Doug Horner, Ed Stelmach, Gary Mar, Harry Chase, Hugh Horner, Hugh MacDonald, Jonathan Denis, Kevin Taft, Marie Stelmach, Naheed Nenshi, Peter Lougheed, Raj Sherman, Rob Anderson, Stephen Carter, Sue Huff, Ted Morton on December 29, 2011 by Dave Cournoyer. ed stelmach resigning as premier of alberta. 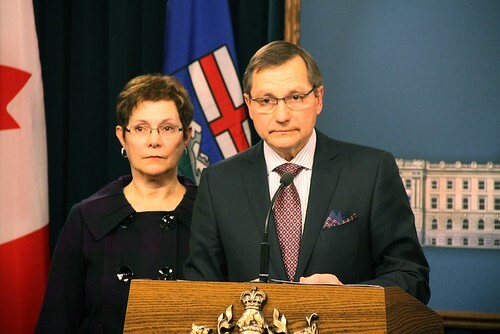 Premier Ed Stelmach and his wife, Marie, at today's media conference. Premier Ed Stelmach announced today that he is resigning and will not seek re-election. The text of his statement has been posted on his blog. 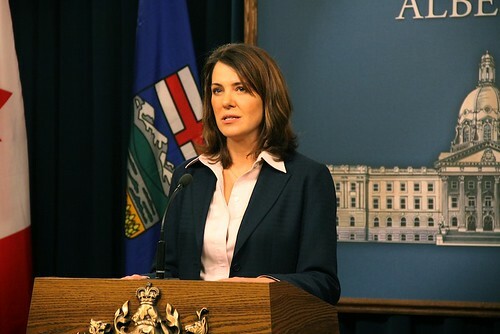 Wildrose Alliance leader Danielle Smith reacts to Premier Stelmach's resignation announcement. 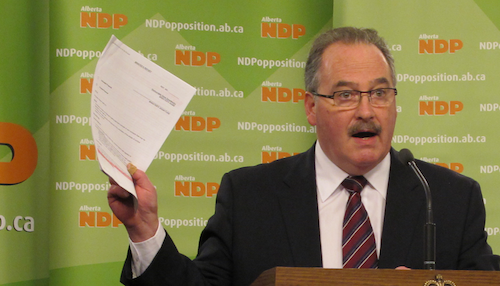 NDP leader Brian Mason took the podium with reactions after Premier Ed Stelmach left the room. 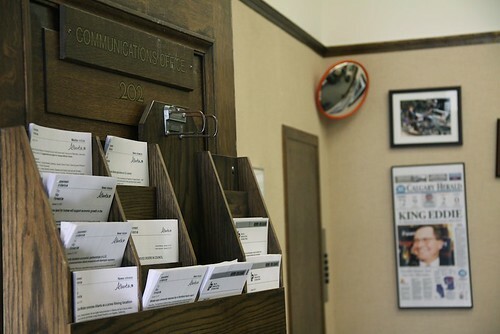 The Premier's Communications Office on the morning after he announced his resignation. Note the "King Eddie" framed newspaper headline in the background. I am still digesting this and will provide more thoughts soon. UPDATE: Here is my blog post looking at Premier Stelmach’s resignation the morning after. This entry was posted in Alberta Politics and tagged Brian Mason, Danielle Smith, Ed Stelmach, Marie Stelmach on January 25, 2011 by Dave Cournoyer.